"Bureau of Reclamation", "Chinook salmon", "San Joaquin River Restoration Act", "San Joaquin River"
The San Joaquin River is located in central California and was once host to the largest Chinook salmon population in the United States. However, this all changed in 1942 when the San Joaquin River was damned up. Although the damming proved beneficial to agricultural production, it dried up a large stretch of the river and cut the salmon off from their spawning grounds. 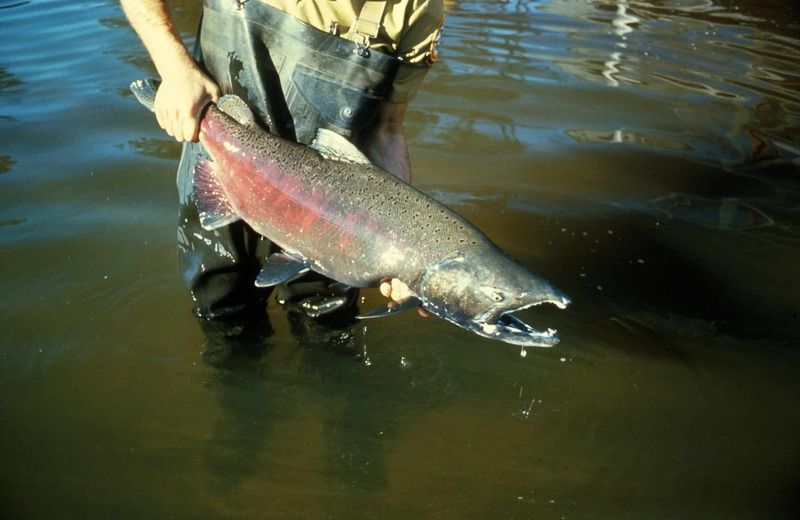 This prompted a collection of environmental groups to file suit in 1988 to get some water released and hopefully restore the salmon population to its prior prominence in the river. Eventually, in 2009, Congress introduced the San Joaquin River Restoration Act in order to effectuate a settlement reached between several environmental and fishing groups. The settlement had a twofold objective: to return the salmon to the San Joaquin River and minimize water supply impacts on farmers. In October 2009, the first tangible step was taken toward reaching the desired ends as the first restoration flows were released down the San Joaquin River. As recent as March 14 of this year, flows were released down the river from the Friant Dam at 400 cubic feet per second. The Bureau of Reclamation, located within the Department of the Interior and charged with seeing that the settlement is carried out as planned, intends to employ and recirculate various water flows over the next five years. In order to achieve the stated objectives, it will take a concerted effort from the agencies involved and the private contractors in the surrounding region. It remains to be seen whether all affected parties will do what is required to implement this long-term plan and bring the salmon back to the San Joaquin River. Gary Pitzer, A Briefing on the San Joaquin River Restoration Program, Water Education Foundation, 3, available at http://www.watereducation.org/userfiles/SanJoaquinRestoration_web.pdf. Pitzer, supra note 1, at 3. Interim Flows, San Joaquin River Restoration Program, http://restoresjr.net/activities/if/index.html (last visited Mar. 14, 2013). See Draft Environmental Assessment: Recirculation of Recaptured Water Year 2013-2017 San Joaquin River Restoration Program Flows, U.S. Department of the Interior Bureau of Reclamation, 8, available at http://www.usbr.gov/mp/nepa/documentShow.cfm?Doc_ID=12692.